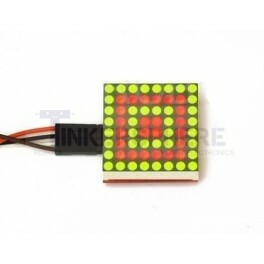 Bicolor LED matrix with 64 pixels (8x8) that can light up both green and red! 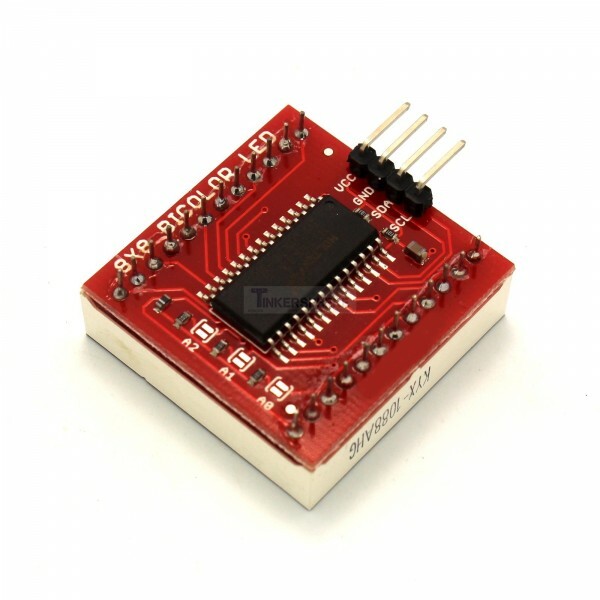 I2C backpack so it's easy to interface with only 2 pins! Measures 1.8 inches with 3mm pixels. 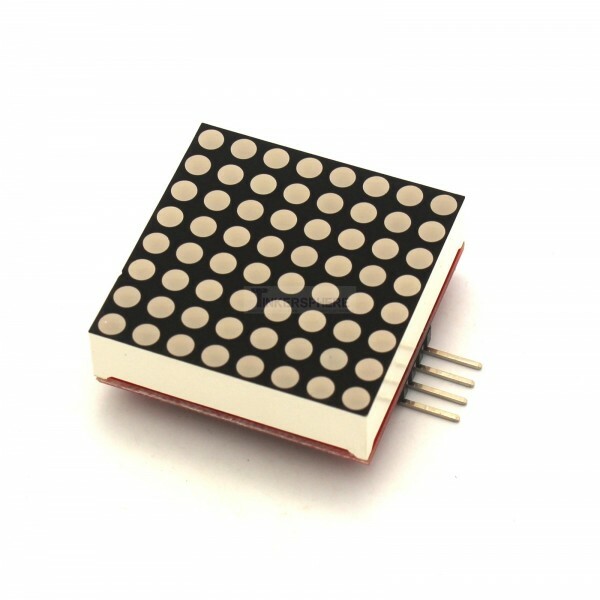 Bicolor red and green LED Matrix Module that uses the I2C serial protocol so you can control the whole 64 LED matrix with just 2 data pins from your Arduino or other microcontroller! 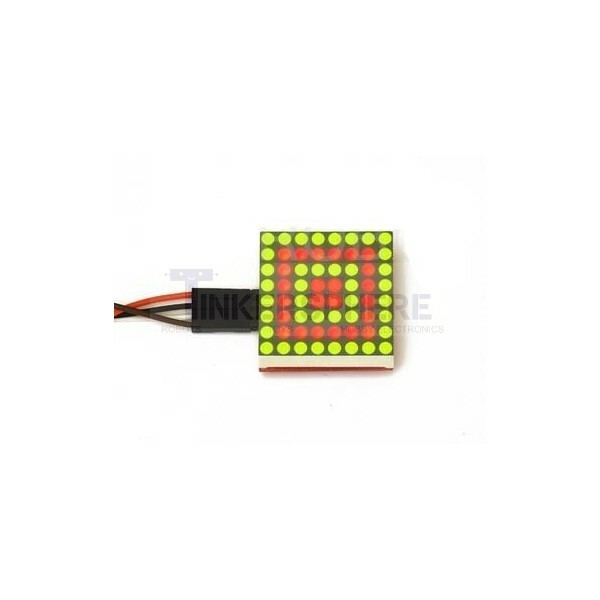 Just connect, according to the pinout below and you'll have the easiest method of controlling a dual color LED Matrix!